This is a die-cut Budweiser Beer porcelain sign. This particular Budweiser sign is shaped like a cross and features a red background with white text. 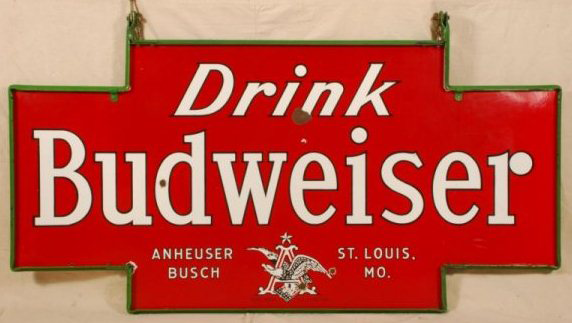 It reads, “Drink Budweiser, Anheuser Busch, St. Louis, MO.” and has a green border.